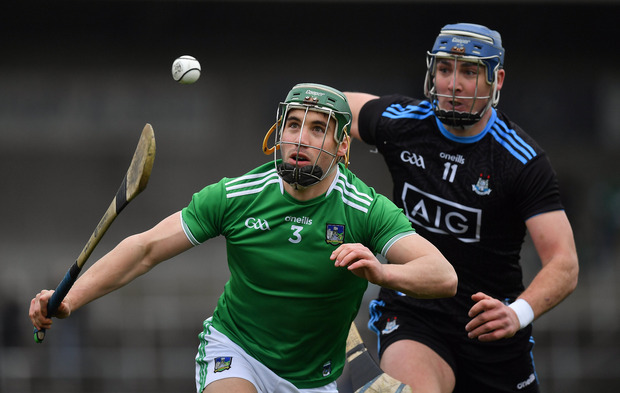 Limerick's aura of invincibility has continued into this year's Allianz League campaign and John Mullane joins Will Slattery, Michael Verney and Frank Roche on this week's Throw-In to assess his own county's chances against them in the final. "It’s the acid test for Waterford," he says. "They have to really up their performance to challenge this Limerick team and use the same template as Dublin by clogging up the middle third. Croke Park suits both teams but you'd have to side with the form team, Limerick." Tomás Ó'Sé also joined the panel to discuss the football final match-up of Kerry v Mayo with Kerry the slight favourites, he reckons. "Mayo have no fear of playing Kerry and will raise their game. It will be a bonus for either team to win it. This Kerry team are playing without fear. They have an opportunity to outfight, outrun Mayo and do to them what they did to Kerry in Tralee." Plus, the panel also discussed the fall and fall of Cork football, who now head into Division 3 ten years on from All Ireland success. And with all the excitement of the last round of games in the football league, have we not now got the template for how the championship should be played in the summer?